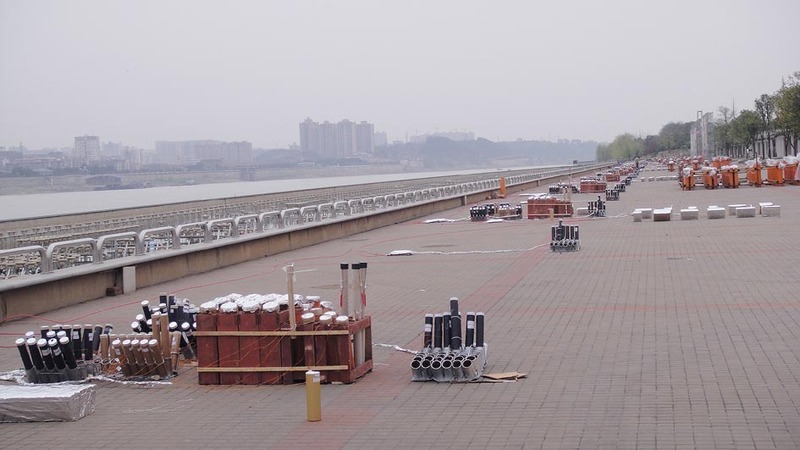 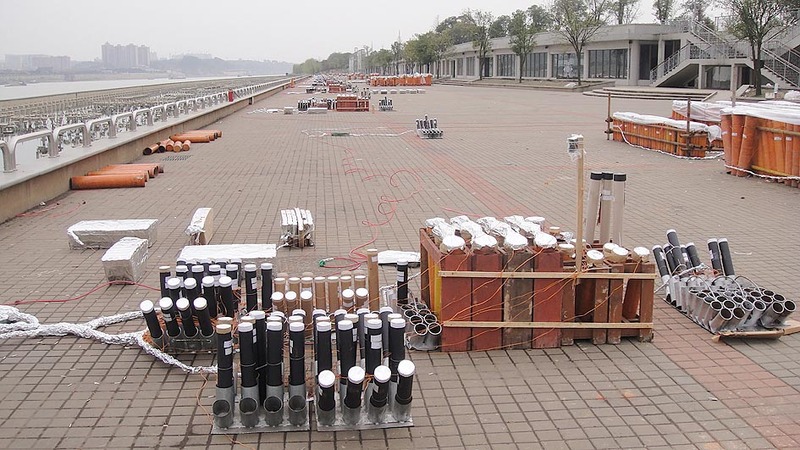 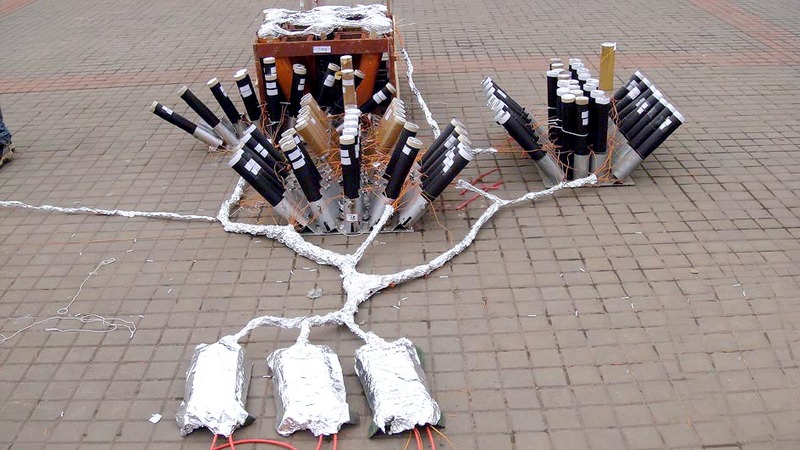 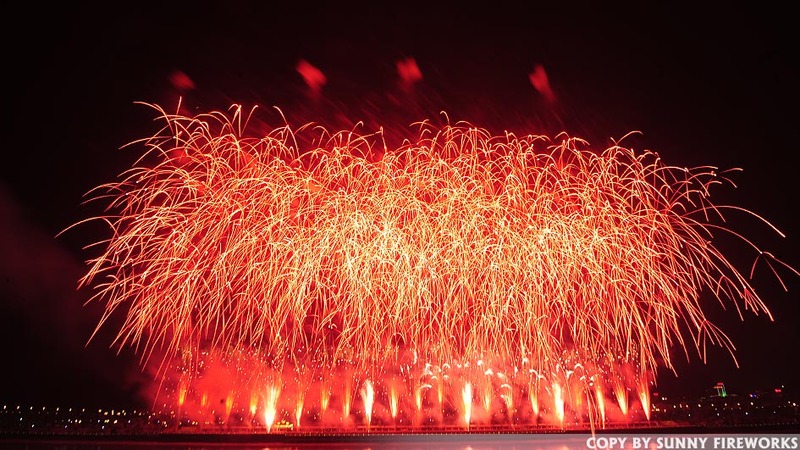 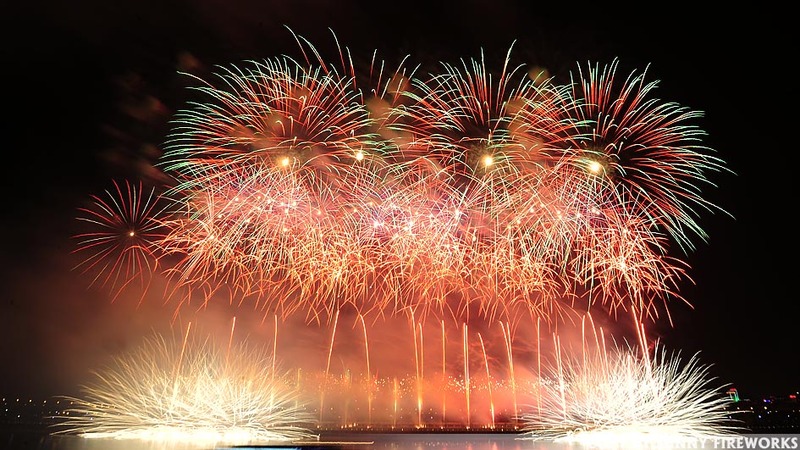 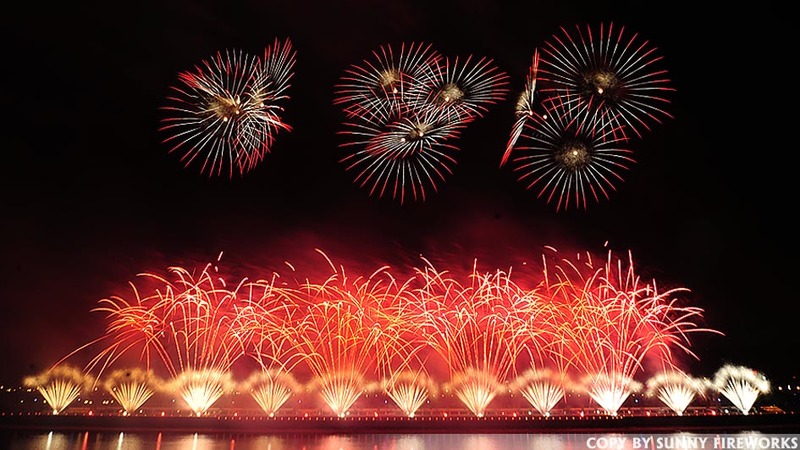 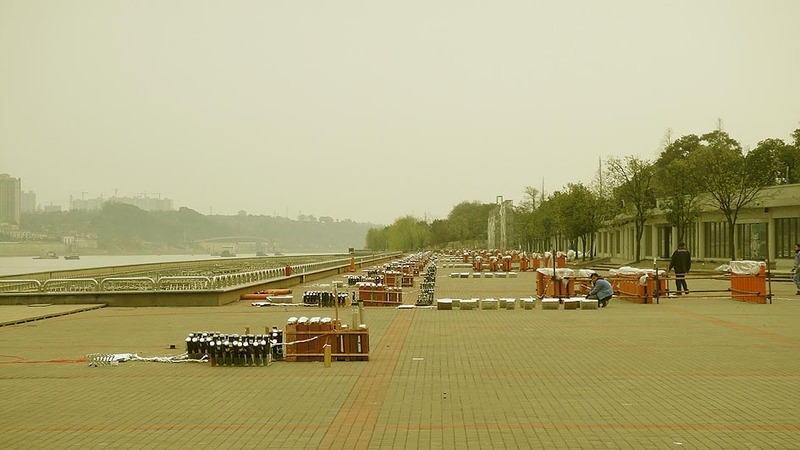 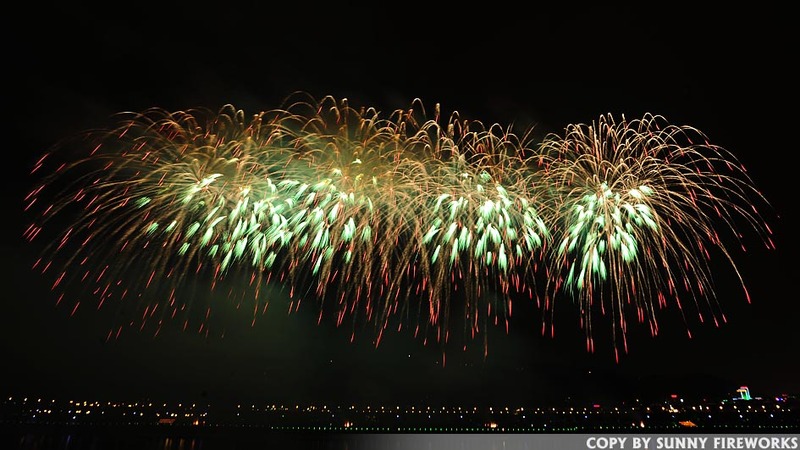 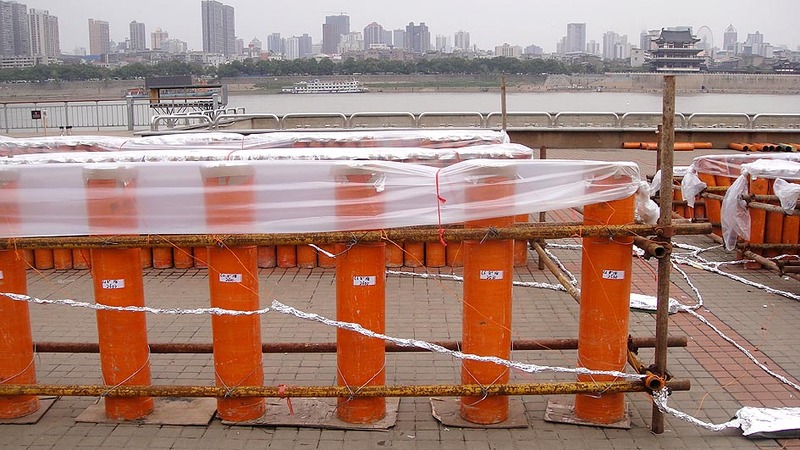 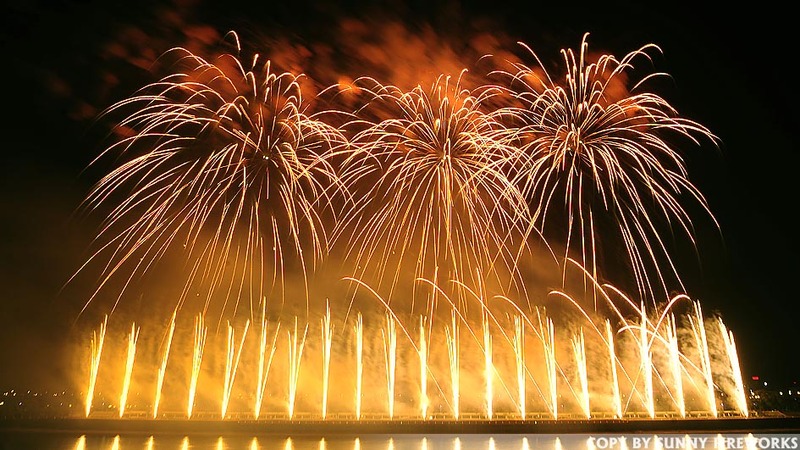 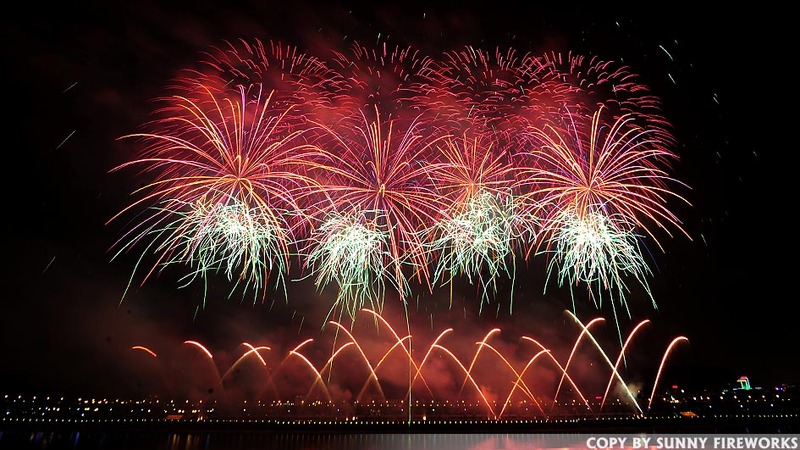 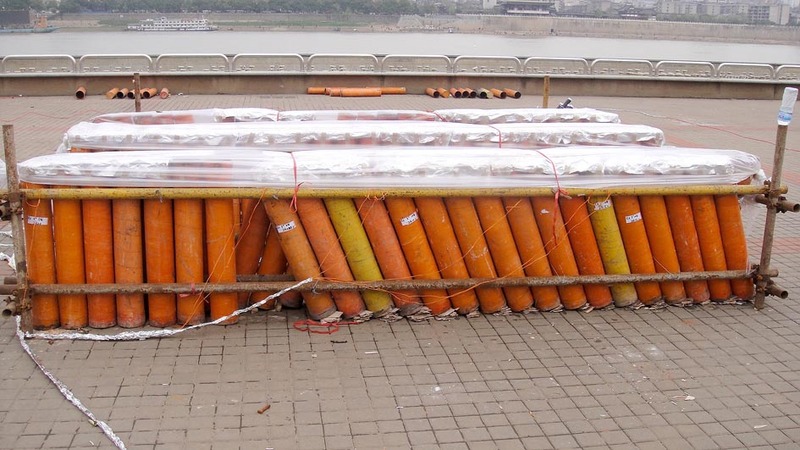 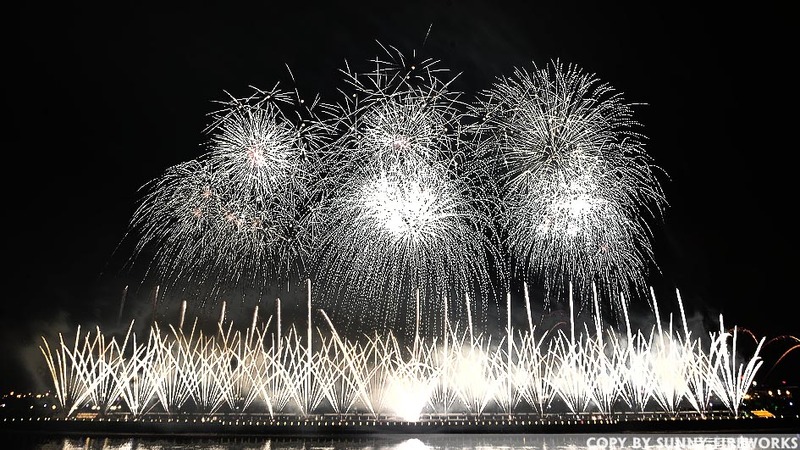 Changsha Ju Zi Zhou Fireworks Display, Hunan China on Mar.26 2011. 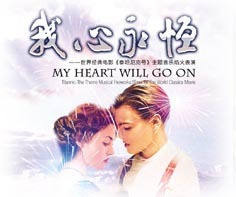 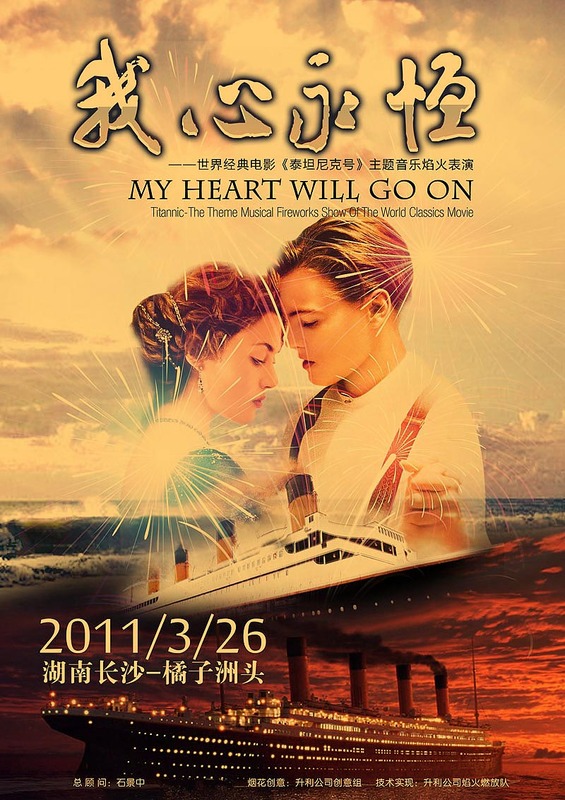 Its main clue based on the theme music of theTitanic to express a touching love story happened at the Titanic by classic fireworks. 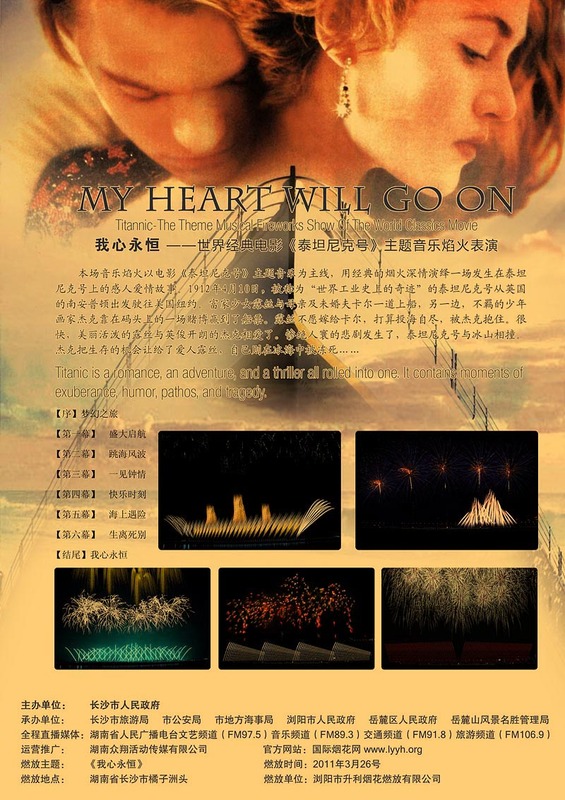 The performance consisted of preface<Dream of fantasy>、 <Grand sail>、<Jump into the ocean wave>、<Love at first sight>、<Happy moment>、<Maritime distress>、<Separated in life and death> and the end <My heart will go on>. 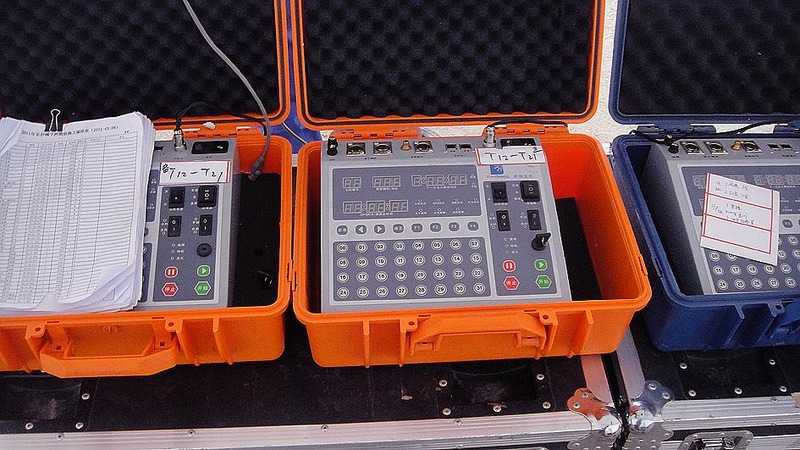 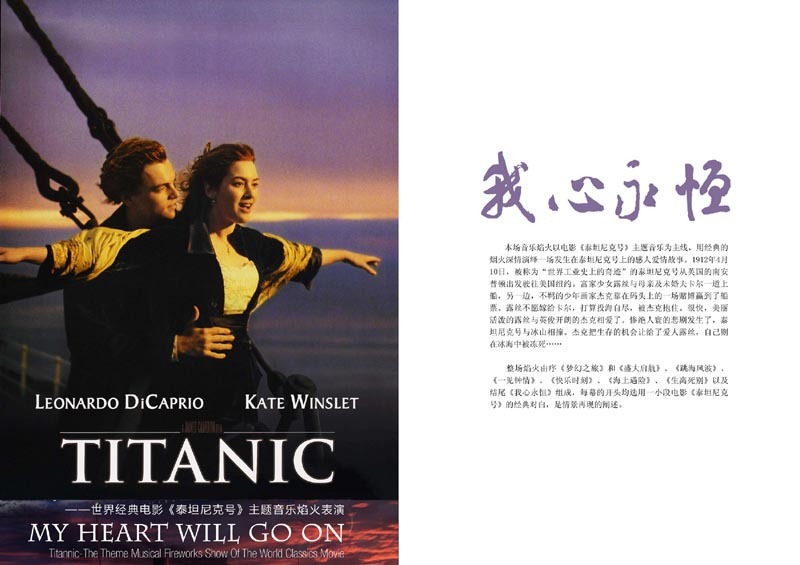 Each screen begins at a short classic dialogue from film "Titanic", its for the scene reappearance.